Goonies. 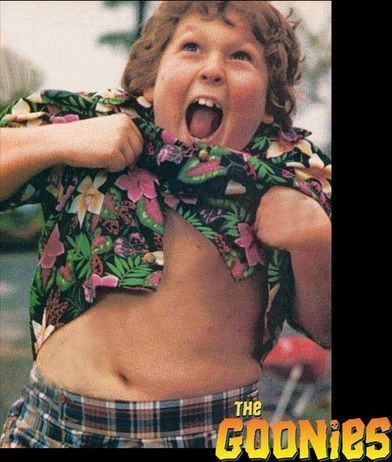 Chunk and the Truffle Shuffle. Wallpaper and background images in the The Goonies club tagged: goonies kids 80's movie adventure treasure fat kid pirate ships pirates.